Even if your personal work space is a zone of Zen-like productivity, there’s one thing that tends to creep into your day and derail your efforts—the dreaded meeting. 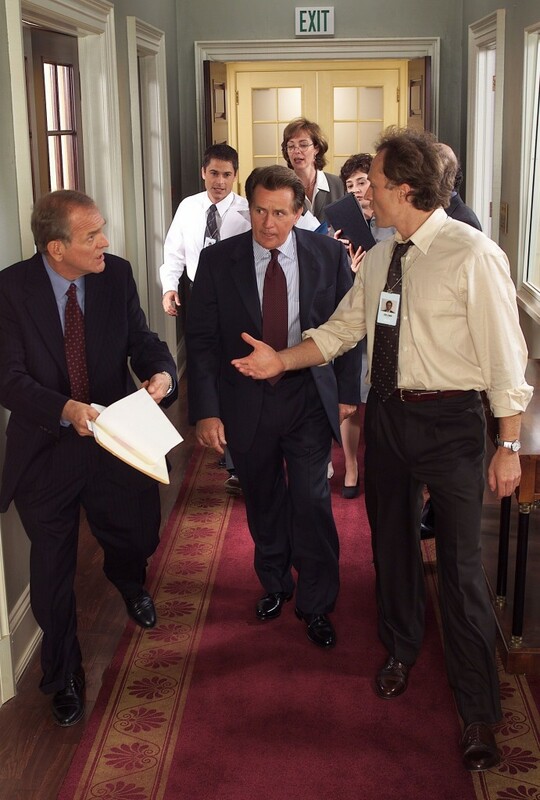 Walk & Talks, as made popular by The West Wing. I once sat in a beanbag during a meeting—that was easily the best/worst decision I made that day. It was insanely comfortable, but after about five minutes I was on the verge of deep, restful sleep. Instead of making meeting rooms cozier, a better option is to hold meetings in an open area with no seats. Employees will be alert and anxious to retreat to the comfort of their swivel chairs, keeping these types of meetings naturally brief (but you should still avoid scheduling more than 15 minutes for a stand up meeting). You know the old saying, “Give someone an inch and they’ll take a mile”? Well, it applies to time as well as space! Schedule a meeting for an hour and it will probably go for an hour plus. If you have a routine one hour meeting, try cutting it down to 30 minutes. It seems drastic to cut down a meeting by 50%, but consider all the derailments that occur during an average meeting—setting up projectors, waiting for remote employees to call in, technology hiccups, off-topic discussions, flash mobs and new hires mistaking the conference room for the supply closet. Determine how long it takes to accomplish the goal of the meeting and schedule accordingly. Well when you put it that way…meeting adjourned! This brilliant and to the point meeting ticker allows you to track the cost of a meeting based on meeting duration, number of employees and average hourly salary per employee. The dollars and cents tick by rapidly, creating a constant sense of urgency. If you’ve got a particularly long-winded boss, the meeting ticker will force her to decide between lecturing staff on productivity and actually demonstrating productive behavior. If the meeting leader is also the one who signs the paychecks, this method is guaranteed to make an impact. Scrum methodology is a means of project management popular in certain technology industries—in fact, we use it here at Laserfiche. Rather than explain the entire concept, I’ll focus on the role of the scrum master. The scrum master facilitates the progress of projects and meetings. Think of the scrum master as the host of a comedy club who keeps the show moving and flashes the light at comedians when they don’t realize time’s up. 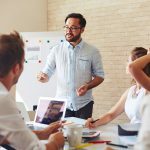 If your organization doesn’t have a dedicated scrum master, try designating a meeting facilitator who can keep everyone on track without being domineering. You know, someone right in the middle of a drill sergeant and Charlie Brown. 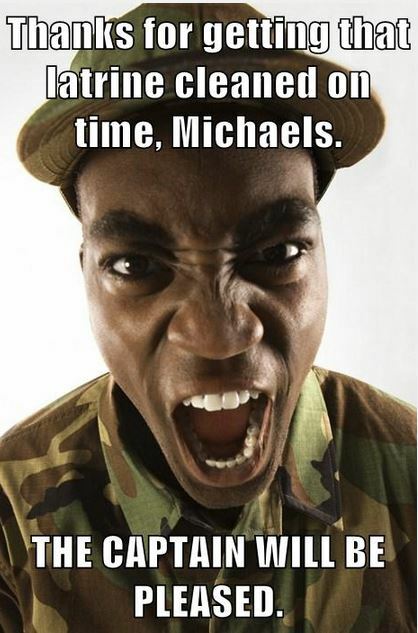 Despite its short-lived run on television, Chappelle’s Show delivered comedic gold that I still quote today. 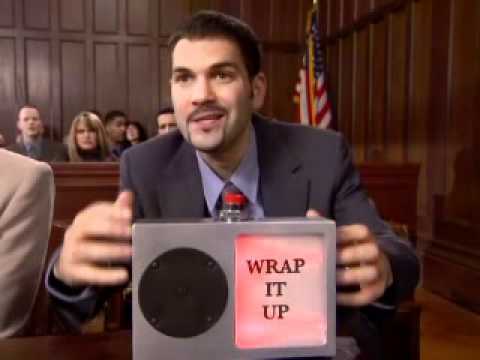 One of the show’s best bits was the “wrap it up box”, which involved a simple device that played Academy Award theme music when someone was speaking for too long. Don’t let the fact that this isn’t a real product keep you from harnessing its power to end meetings. Download the Academy Award song on your phone, then furtively play it under the table when you’ve had enough slide presentations and HR debates for one day. In fact, I think I hear the music right now…oh, it’s time to end this blog post. Thank you to James Cameron, the effects team and everyone who made this possible! Of course, keeping meetings short is only one of the many ways to work smarter. Get your copy of the new eBook, “The Simplicity 2.0 Guide to Working Smarter” – featuring the best content from the Pearl award winning blog, Simplicity 2.0.